Issued in two jewel cases housed in a box-type slipcase. 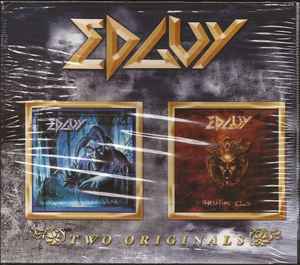 The first case includes the reissue of Edguy - Mandrake and the second the reissue of the Edguy - Hellfire Club album. On the back of the Box-Set Slipcase track 06 from Mandrake is labeled as "Pharaoh" intead of "The Pharaoh"